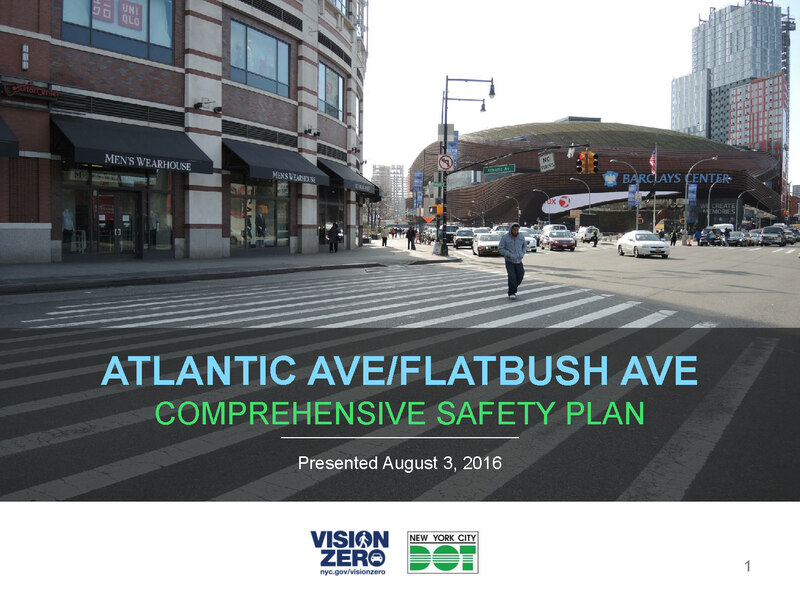 On August 3rd, 2016 DOT presented a comprehensive plan and hosted a workshop regarding safety improvements in the area around the intersection of Atlantic Avenue and Flatbush Avenue. The presentation included plans to calm traffic, improve mobility and improve the quality of public space in the area. The workshop that followed provided community members the opportunity to work with DOT staff directly to provide comments and propose solutions to the challenges faced in the area.